Ladylike chic oozes from the Lotus Justine court shoe. This elegant, pointed toe, heeled pump features a metallic gold faux leather upper, delicate straps that cross at the ankle and a very wearable 8.5cm stiletto heel. 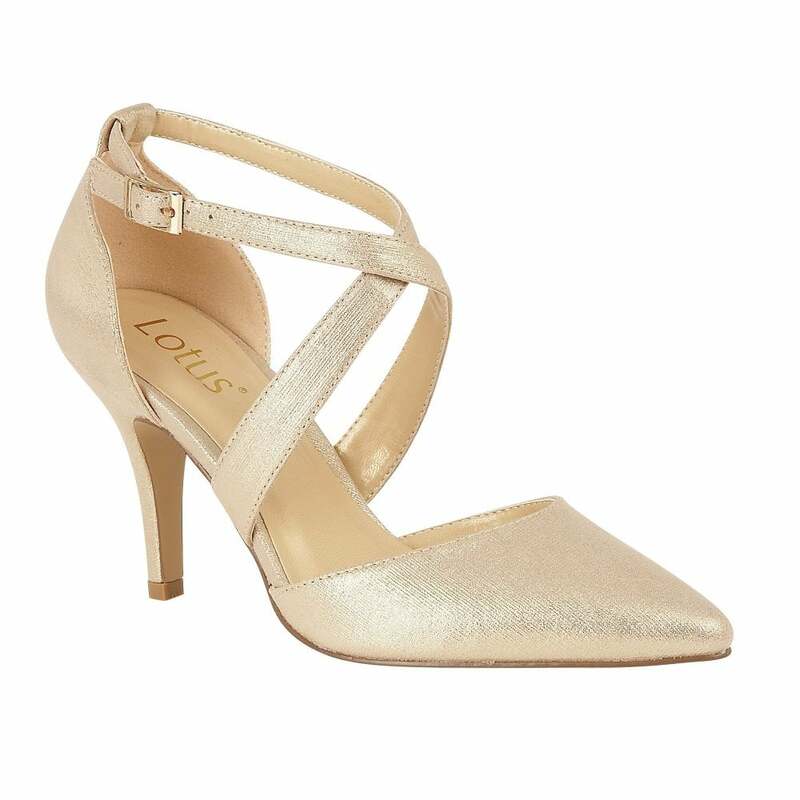 When dressing for special occasions, team this feminine Lotus ladies’ court shoe with the coordinating Vanessa handbag.